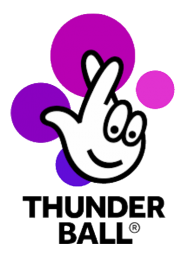 If regular draws and great odds are what you are after, then UK’s Thunderball is the perfect lottery. Small bursts of energy in the lotto balls make that rumbling sound of thunder so each draw can start with a bang. You can play this pool game by picking 5 digits out of a total of 39 and one Thunderball number from 1 to 14. The goal of winning the lottery is to try and match all five numbers and the bonus ball hitting the jackpot. If there happens to be more than one winner, each winner gets the guaranteed full jackpot amount. Unlike most other lotteries worldwide the total prize money is never shared among winners. The overwhelming jackpot of £500,000 is always the same amount week after week. When playing online, you have the option to pay for eight weeks in advance for the next lottery draws. Buying Thunderball coupons online ensures that your lotto ticket is safe. You will find a scanned copy of your ticket, preventing it from getting lost or soaked in the rain. The top prize could afford you the Omega Seamaster 300 watch - the same watch used by James Bond. The timepiece features the classical aesthetics of the 50's and 60's. It features a ceramic ring with LiquidMetal 12 hour-scale to adjust the time in any country. 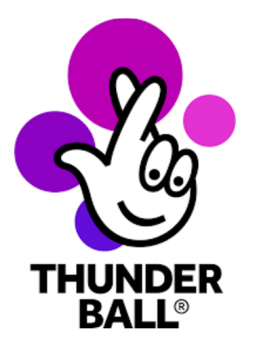 Thunderball was developed and run by Camelot, the official British lottery operator. In June 1999, the first gripping draw took effect on a weekly Saturday. The demand for playing the pool game increased. So in October 2002, a second weekly draw took place on Wednesdays. The English lotto went through a few changes back in 2010. By adding the number of balls from 34 to 39, boosting number choices and winning chances. On top of that, for more exciting rollovers, a third weekly draw was added on Fridays. Encouraging more lottery players to play, the jackpot raised from £250,000 to £500,000. The goal of playing the lotto is to match all six numbers, winning you the top prize. UK’s Lottery known for the odds of winning gives you a chance of 1 in 13. It has become popular for playing number sets that make this raffle so thrilling. Add to that the fact that Thunderball offers a lower jackpot prize than other pool games. Apart from the Jackpot, there are eight other prize levels for opportunities to win. As you match more numbers, the prize money increases. Just guessing the Thunderball bonus ball, you win £3. Better yet, matching five numerals, the second highest reward given is a surprising £5,000. To enhance your chance of winning a prize, the UK lottery offers you to play syndicates. Each member in the group chooses a set of numerals that you may not have chosen. On top of that, you still get a share of the reward, enjoying the buzz with your group of friends or colleagues. Thunderball draws take place three times a week. Every Wednesday at 10.30pm GMT, on every Friday at 10.35pm GMT and every Saturday at 8.30pm GMT. The draws held are at Camelot's headquarters in London. 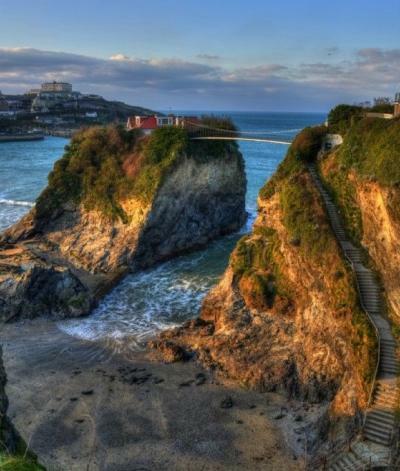 This UK lotto is broadcasted on BBC One live on Wednesdays, Fridays and Saturdays. Online videos of the draws are also available on the Youtube channel. On top of that, you can keep track of the latest results on the UK National Lottery site and on our partner sites too. Karen and David Ainger from Chichester won an eye-popping £500,000 in Thunderball. A perfect Christmas present to end the year isn't it? The couple prefer to play this lotto because the likelihood of winning is quite good. It was not a first time that they won a few of the smaller prizes but nothing as much as half a million pounds. Karen and David Ainger intend use their prize money to pay off a car loan as well as credit cards. On top of that, they also want to invest the rest of the money for their retirement. Karen a keen fan of theatre will attend more performances at the theatrical festival than the usual two shows, a season. She has already set her eye on a Russian Ballet performance and will surely check out a few more shows.